In the 19th century, the British signed a series of agreements with the individual emirates that resulted in the area becoming known as “The Trucial States.” They agreed not to have dealings with any territory except the United Kingdom and not to enter into relationships with any other foreign government without the UK’s consent. In return, the British promised to protect the coast from all aggression by sea and to help in case of land attack. In the early 1930s the first oil company teams conducted geological surveys. 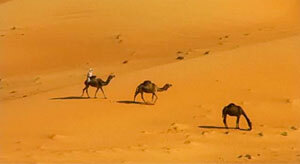 In 1962, the first cargo of crude was exported from Abu Dhabi. With oil revenues growing year by year, His Highness (H.H.) Sheikh Zayed bin Sultan Al Nahyan was chosen as Ruler of Abu Dhabi in 1966. He undertook a massive program of construction of schools, housing, hospitals and roads. One of Sheikh Zayed’s early steps was to increase contributions to the Trucial States Development Fund. 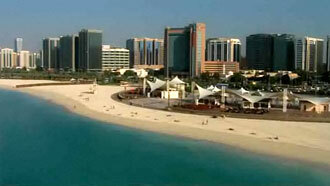 Abu Dhabi soon became its largest donor. In the meantime, H.H. 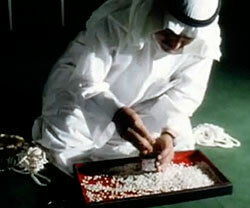 Sheikh Rashid bin Saeed Al Maktoum, de facto Ruler of Dubai since 1939, developed shipping to replace pearling revenues. When Dubai’s oil exports started in 1969, Sheikh Rashid was able to use oil revenues to improve the quality of life of his people. At the beginning of 1968, when the British announced their intention to withdraw from the Arabian Gulf, Sheikh Zayed acted rapidly to establish closer ties with the emirates. With Sheikh Rashid, Sheikh Zayed called for a federation that would include not only the seven Emirates that together made up the Trucial States, but also Qatar and Bahrain. Agreement was reached between the rulers of six of the Emirates (Abu Dhabi, Dubai, Sharjah, Umm al-Quwain, Fujairah and Ajman), and the Federation to be known as the United Arab Emirates was formally established on December 2, 1971. The seventh Emirate, Ra’s Al-Khaimah, acceded to the new Federation the following year. In 2004, H.H. Sheikh Khalifa bin Zayed Al Nahyan became president and has since continued to strive towards an ambitious vision for the UAE. Four-fifths of the UAE is desert but has contrasting landscapes — from the towering red dunes of the Liwa to the rich palm-filled oases of Al Ain, from the precipitous Hajar Mountains to the more fertile stretches of its coastal plains. Though small in size (comparable to the state of Maine), the UAE has become an important player in regional and international affairs. In less than four decades, the nation has transformed from a tribal culture reliant on agriculture and fishing to an entrepreneurial success story with world-class infrastructure. The leadership has improved education (effectively eliminating illiteracy), advanced health care and embraced change as the UAE modernizes, consistent with its history and cultural values. The UAE is a member and participates in many international organizations, e.g. the United Nations (UN), the World Trade Organization (WTO), the Arab League, the Gulf Cooperation Council (GCC), the Arab Bank for Economic Development in Africa (ABEDA), the Arab Fund for Economic and Social Development (AFESD), the Food and Agriculture Organization (FAO), the Group of 77 (G-77), the International Atomic Energy Agency (IAEA), the International Bank for Reconstruction and Development (IBRD), the Organization of the Petroleum Exporting Countries (OPEC), the United Nations Educational, Scientific and Cultural Organization (UNESCO). 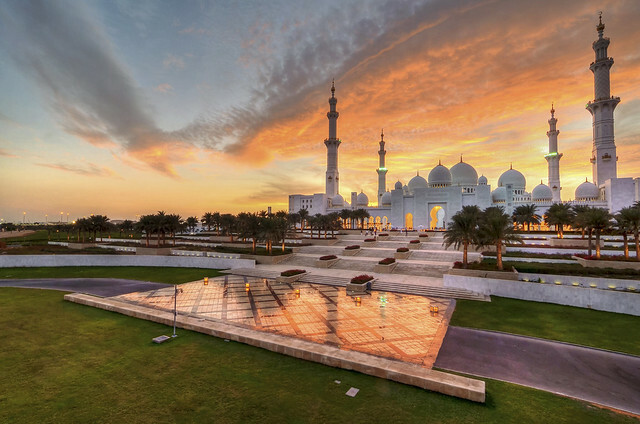 What do you know about the Sheikh Zayed Grand Mosque? This is one the world’s largest mosques, and it can hold up to 40,000 worshippers. It features 82 domes, over 1,000 columns, 24 carat gold gilded chandeliers and the world's largest hand knotted carpet. The main prayer hall includes the world’s largest chandeliers –10 metres in diameter, 15 metres tall and twelve tonnes. The mosque's first ceremony was the funeral of its namesake, Sheikh Zayed, who is buried at the site.